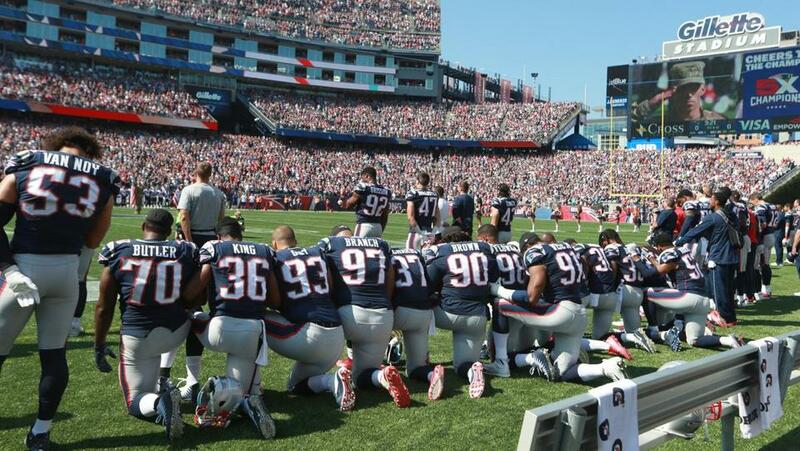 Patriots players took a knee during the National Anthem before their game against the Houston Texans last month. WASHINGTON — With each battle President Trump picks on Twitter, the question arises: Is this the outrageous attack that will alienate his voters? But Trump has not only continued to defy doomsayers, he has shown an ability to actually shape his supporters’ views. 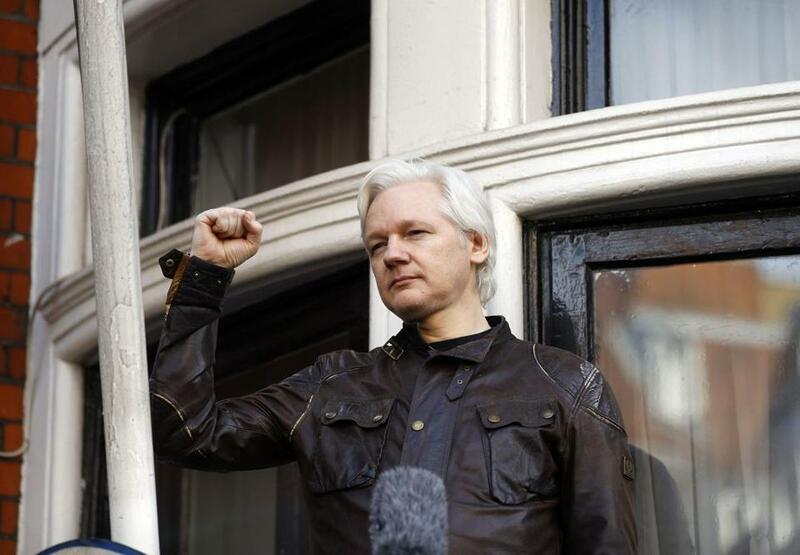 It is one of the elements of his enduring strength despite his historically low poll numbers — a phenomenon bolstered by a conservative media that both amplifies and defends the president, experts said. “The president commands a group of Americans that are outraged, but he’s the one who tells them where to direct that outrage,” said Evan Siegfried, a Republican political strategist. The National Football League is a prominent recent example. An October survey from Morning Consult showed that more than 60 percent of Trump voters now have negative views of the NFL, just weeks after Trump began targeting the group of football players who were kneeling in protest of police brutality. A month earlier, only about 20 percent of those voters viewed the NFL negatively. The speed of that shift surprised some researchers and political scientists, but the change largely follows a pattern that began on the campaign trail. Republican voters changed long-held opinions, according to polls, on many of the issues for which Trump was being criticized, including his relationship with Vladimir Putin and Wikileaks. 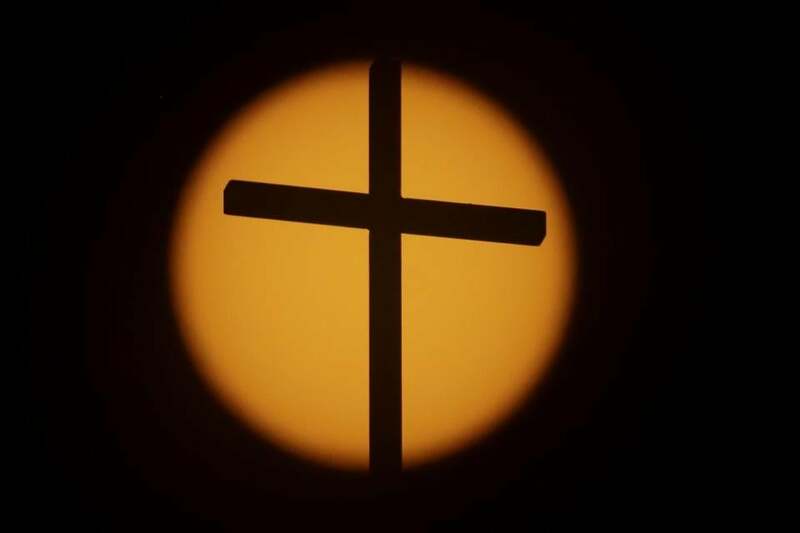 White evangelical conservatives, who said for years in polling that a pious private life was a necessary attribute of a successful president, have all but abandoned that view, according to a 2016 poll by the nonpartisan Brookings Institution in Washington. 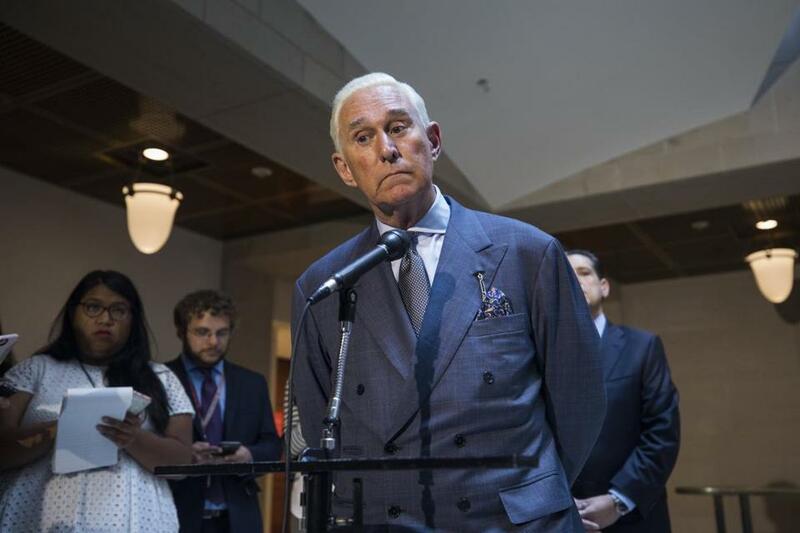 Roger Stone, the sometimes outlandish former adviser to President Trump, said in an interview with the Globe that Trump supporters feel as if their candidate is always subject to unfair attacks, which causes them to be more fiercely protective. But critics, including some Republicans, have sometimes described this relationship as a “cult of personality.” Citing the drastic changes in feelings about Putin, Wikileaks, and the NFL, some said the Trump administration is taking a polarized citizenry and driving the societal wedges even deeper along partisan lines. Nationwide, Trump has a dismal approval rating, and his brand as a businessman and top hotel designer has taken a drastic hit during his presidency. But among his base, the power of persuasion has been eye-poppingly strong. His core base of voters have backed him in disagreements with Gold Star families, decorated veterans like John McCain, members of his own party, and civil rights icons such as John Lewis. “Everything [Trump] does he’s looking to polarize the presidency into us versus them,” said Norman J. Ornstein, a political scientist at the American Enterprise Institute in Washington. Partisan politics are not new, and Americans — even before Trump — were more divided between red and blue than almost ever before, polls show. Fox News, CNN, MSNBC, HuffPost, and The New York Times are all in the top 10 of America’s most polarizing brands, according to the same Morning Consult poll, which speaks to the degree that “mainstream media” have also become a partisan dividing line, along with churches, labor unions, and institutions of higher learning. “People are being driven by antipathy, and that makes you stick with your team even if it means changing long-held positions,” Ornstein said. 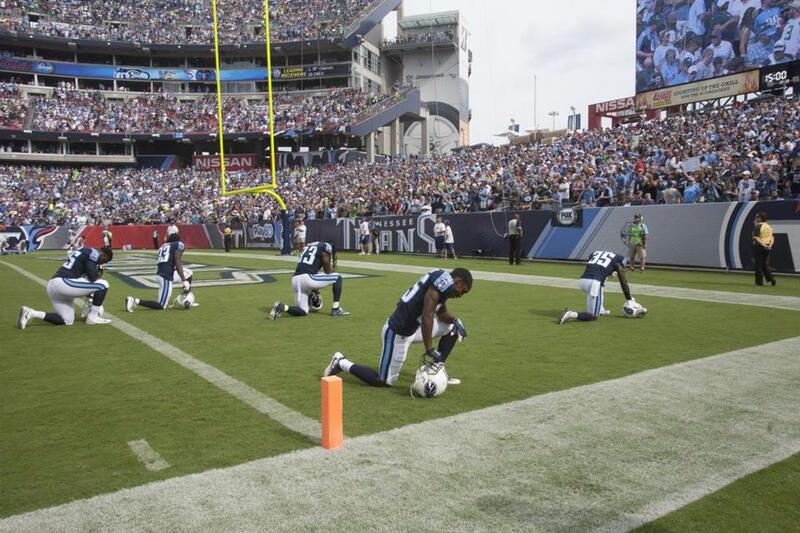 In the NFL example, polls showed Republicans and Democrats both held largely positive feelings about the league before Trump used vulgar language to describe players protesting police brutality. But after the comments, which included calls to boycott the league if owners did not suspend the players, the Morning Consult poll found more than 60 percent of Trump voters had unfavorable feelings about the league, though Clinton voters were unchanged. Trump is helped by the bevy of “new media” outlets that are designed to capitalize on the lack of trust in traditional news and to help the president’s agenda. While “mainstream media” fact-checked the president’s misrepresentations of the NFL player’s protests, popular programs on Fox News, Breitbart News, and Trump-loving Twitter accounts with millions of combined followers, fanned the flames, posting wall-to-wall anti-NFL messages. “I’m sorry, but this NFL kneeling business may be the dumbest most useless yet destructive bit of crybaby showboating in history,” Bill Mitchell, the popular pro-Trump radio personality, tweeted on Monday morning. Still, it is unclear whether the change in favorability ratings among Trump voters has led to an actual change in behavior among his supporters. Trump has seized on lower prime-time ratings during some games and empty seats at stadiums as proof his “war on the NFL” is working, but football had been experiencing dips in interest over the past couple years for many non-Trump reasons, such as concussions and lack of parity. Last week, a report from Nielsen said NFL ratings were down 7.5 percent this year compared with the first six weeks of 2016. Trump, for his part, shows no signs of letting up.